This year's theme will be Fantasy. We'll be focusing our programming on all things fairy, dragon, and more! 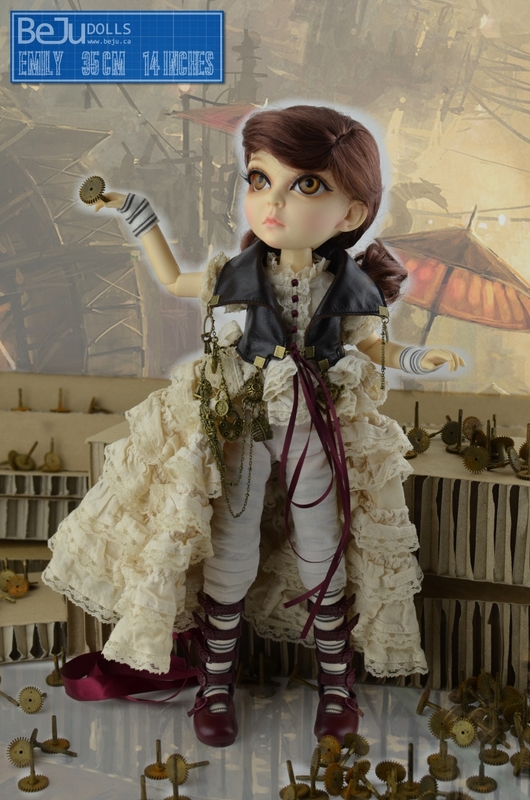 Our Guest of Honor for the 2014 St. Louis BJD Convention is Denis Bastien of Affordable Designs - Canada, creator of a new BJD resin doll line called BEJU DOLLS. This new line was released on October 1st 2013 and the first three dolls (Aadi, Bijan, and Leeann) have already found lots of friends in the BJD Collector Community. Denis Bastien is well known for his line of Leeann vinyl dolls. We are extremely happy to see him become a BJD designer. Click here to see our Exclusive Convention Doll, Emily, and information on how to purchase! Full Set: $340 - Only 60 available! Created by Denis Bastien of BeJu Dolls and Affordable Designs, our Emily is 14" tall and has the same dress size as Affordable Design's LeeAnn dolls. There are a limited run of 100 dolls total, so get yours today! The Room Block Reservation cut off date is 10/17!